BEIJING (Bloomberg) -- China's passenger-car sales growth slowed in June as inflation accelerated, reducing consumers' spending power in the world's largest auto market. Sales of cars, sport-utility vehicles and multipurpose vehicles rose 10.9 percent from a year earlier to 839,228 last month, the China Automotive Technology & Research Center said today. That compares with 34 percent growth in April and 25 percent in May, according to the center. China's inflation rate accelerated in May to an annual 3.1 percent, the quickest in 19 months. Measures to slow the economy may weigh on auto sales after government stimulus measures boosted demand by a record 46 percent last year, Tim Dunne, an analyst at J.D. Power and Associates, wrote in a June 29 report. China's economy expanded 11.9 percent in the first quarter. 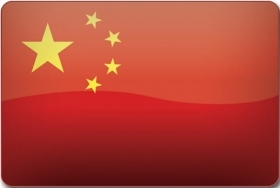 China International Capital Corp. has said it expects growth to slow to 7.5 percent by the fourth quarter. June's increase in passenger-vehicle sales is the slowest since the research center began publishing monthly data in April. First-half passenger-car sales increased by 25.6 percent to 5.42 million, it said. The China Association of Automobile Manufacturers will publish separate June data for sales from automakers to dealerships later this month. Passenger-vehicle sales in June 2009 rose 48 percent from a year earlier, it reported at the time. According to the association's data, monthly sales have risen more than 10.9 percent for 14 straight months through May. China's vehicle deliveries may rise 17 percent this year to 16 million and annual demand for automobiles may eventually exceed 30 million, according to the State Information Center. Total vehicle sales, which include buses and trucks, increased 14 percent last month to 1.13 million, the research center said today. They rose 30.5 percent in the first half of the year to 7.19 million. China continued to lead the U.S. in total sales in the first half, with U.S. deliveries rising to 5.6 million during the period. Slowing sales growth is leading to increasing stockpiles among the country's automakers and dealerships. Total vehicle production outnumbered sales by 1.29 million units in the first half, according to the research center. The average stockpile period, which gauges the time between vehicles rolling off the production line and being registered for plates, was 55 days in June, compared with 41 days in February this year, the center said. Production in China at Toyota Motor Corp., Honda Motor Co. and Nissan Motor Co., Japan's three largest carmakers, was disrupted in June as workers at Denso Corp. and other component suppliers in the country went on strike for higher wages. At least eight strikes since the middle of May forced suppliers to Toyota, Honda and Nissan in China to raise wages, raising carmakers' costs. Automakers continue to invest in China. SAIC Motor Corp., the nation's largest, said June 25 it aims to raise as much as 10 billion yuan ($1.48 billion) in a private share placement to fund expansion. The carmaker plans to sell 180,000 of its own-brand vehicles this year, President Chen Hong said in March. That compares with an overall sales target of 3 million for all SAIC-made vehicles.